The Sound Level Sensor allows users to easily measure sound level in decibels (dB) in a variety of school settings. 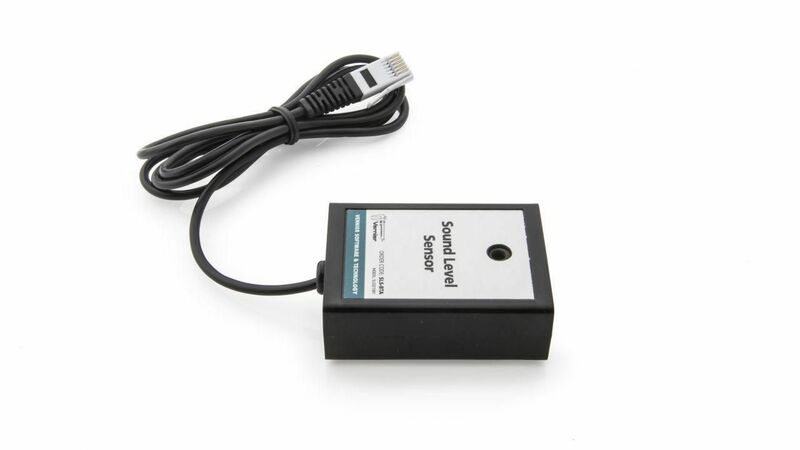 Simply connect and collect, as no background knowledge of sound-level weighting, response times, or the decibel scale is needed to use this sensor. The Sound Level Sensor is A-weighted, meaning it responds to sound loudness the same way the human ear does. It measures sound level to within 3 dB along a single range from 55 to 110 dB, with no need to switch between ranges during an experiment. Monitor classroom sound levels, measure reverberation time, and investigate sound insulation. For in-depth sound studies, the Sound Level Meter is a better tool for high school or college physics. If users are interested in collecting sound waves data, use the Vernier Microphone.